We found most pre-made survival kits are bad value. The consumer organisation looked at 7 pre-made “getaway” kits that claim to have most of the gear 1 person needs to survive for 3 days when you have to evacuate your home in a hurry. Consumer NZ rated the kits on comprehensiveness, quality and value. It found 5 out of 7 didn’t have basic hygiene items, such as hand sanitiser and tissues, while four had inadequate torches or radios. 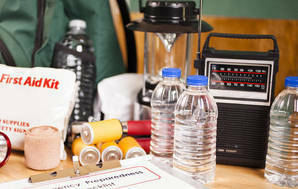 Consumer NZ chief executive Sue Chetwin says while there are a couple of pre-made emergency kits worth considering, you’re generally better off building your own. “We put together a grab bag with 3 days’ rations and all the key items you’d need to see you through for $150, which is also considerably less than you would pay for many of the commercial kits,” Ms Chetwin says. Ms Chetwin singled out St John for having the worst kit. “Punters who shell out $200 for this disappointing grab bag will discover it lacks basic items such as a first aid kit, food rations, drink bottle or rain poncho,” she says. Ms Chetwin says some of the kit’s items, namely its wind-up torch/radio, performed poorly in testing. “The radio has a fiddly little dial with unreadable markings that’s a nightmare to tune. To make matters worse, the radio only plays for 4 minutes from 1 minute’s winding, while the built-in light is significantly dimmer than cheap LED torches powered by disposable batteries,” she says. Consumer NZ suggests the following items for an ideal emergency grab-bag: torch, radio, spare batteries, hand sanitiser, cash, photo ID, and other important documents, walking shoes, warm clothes, raincoat and hat, first aid kit, prescription medicine (if required), water, snack food, rain poncho, thick gloves, dust mask, hygiene items (e.g. tissues, wet wipes, toothbrush/paste).